Lucia de Vries first saw the majesty of the Himalaya in Gilgit of Pakistan 25 years ago, and fantasised about becoming a Himalayan explorer. The Karakoram was mesmerising and mysterious to this young Dutch woman, and she dreamed of expeditions to unknown peaks. She wanted to follow the footsteps of the early Dutch missionaries Samuel van der Putte who travelled to Lhasa via Nepal in 1720, and Petrus Rijnhart who was killed in Tibet. De Vries herself was at the Jokhang temple in Lhasa when Chinese troops fired at demonstrators, and soon after nearly died when she got lost during a blizzard in Tibet. 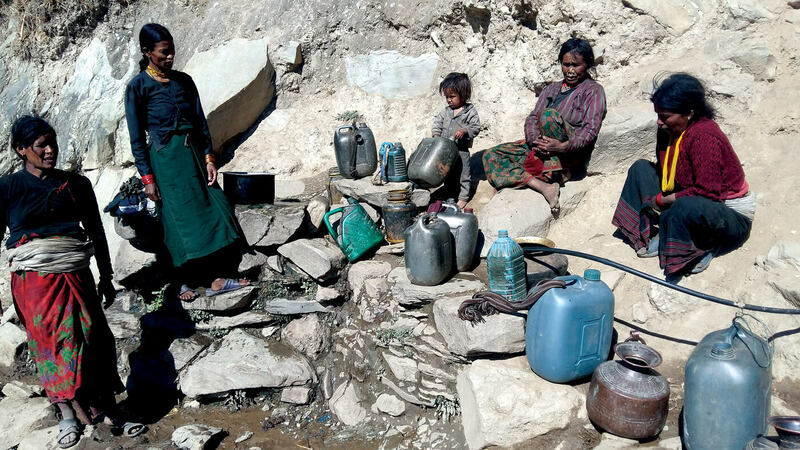 She was rescued by nomads, but her frostbite was so severe she had to be hospitalised in Austria. She worked with the environmental group NEFEJ on its publication Haka Haki, set up a publishing house for children’s books and wrote from Nepal for the Dutch and Belgian media. 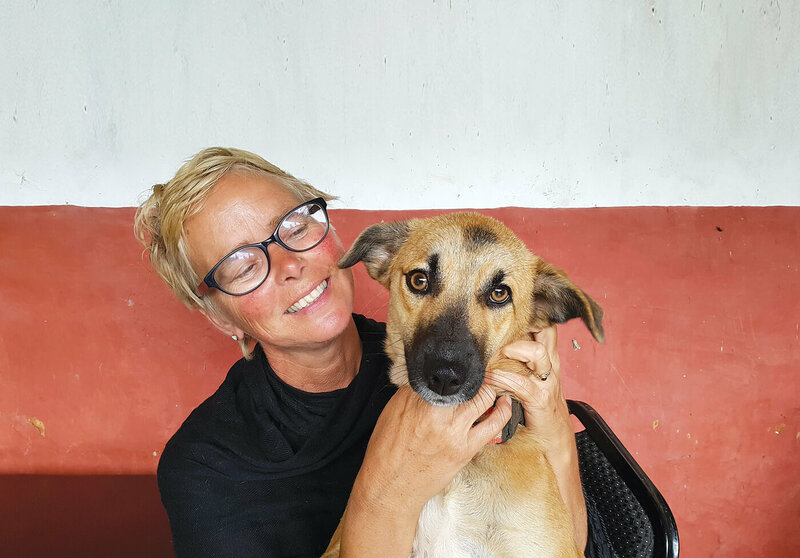 With friends, she established Animal Nepal in 2003 to take care of abandoned dogs and pets. De Vries decided to commemorate her 25 years in Nepal with an anthology of writings from the Himalaya that had inspired her. The volume Mountain Bound contains material by everyone, from the 19th century British surgeon Henry Ambrose Oldfield to the Japanese explorer monk Ekai Kawaguchi, and right down to the American climber Arelene Blum – all people whom de Vries admires for their courage and pioneering journeys of discovery. 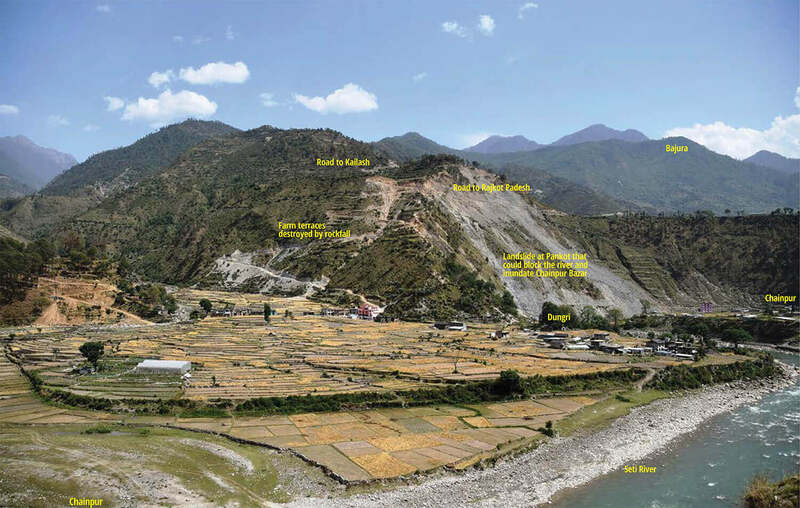 ‘For someone who grew up in a country whose horizons are unmarked by any kind of elevation, located partly below sea level, living in the Himalaya was not an obvious choice,’ de Vries writes in her Foreword to Mountain Bound. 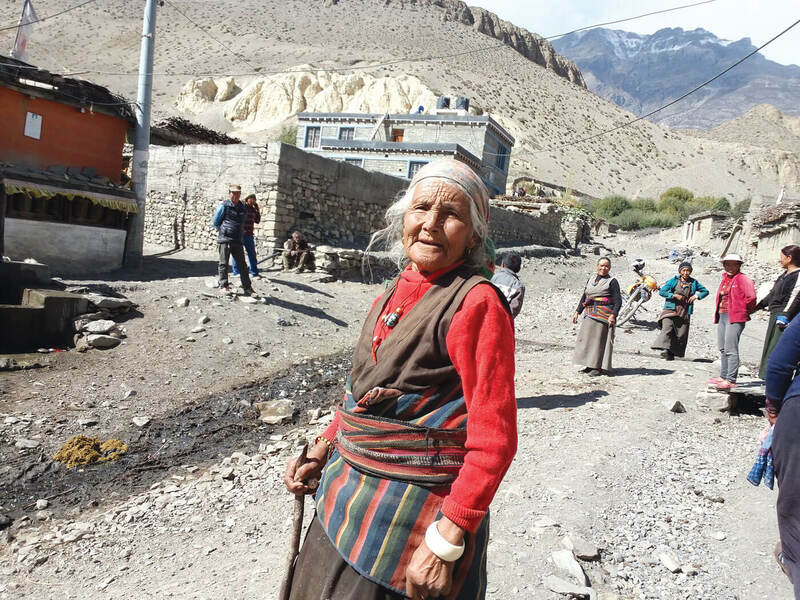 Her beloved Himalayan mountains are being ravaged by bad roads and unregulated urbanisation, and with climate change the mountains are more vulnerable than ever before. The book is a tribute to the Himalaya, and the 46 explorers (all European, except one Japanese) who were moved by the mountains to write in awe about them. The excerpts from 19th and 20th century are by ‘missionaries, mountaineers, mystics and mercenaries’. The earliest writing is by the Tuscan Jesuit Ippolito Desideri, whose account of his journey to Lhasa in 1716 is included in the book because it was published in 1904. 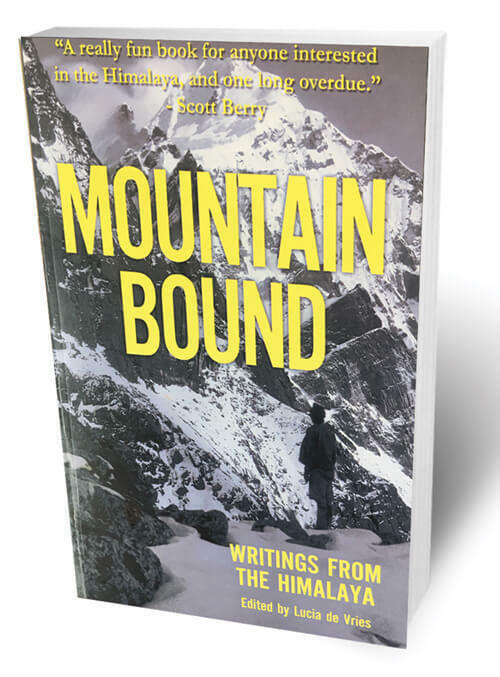 For those overwhelmed by the available literature on the mountaineering, culture and history of the Himalaya (or don’t have the budget to buy all the books) Mountain Bound is a useful primer. You get a glimpse of the adventures of people like William Kirkpatrick, George Mallory, Peter Matthiessen, Edmund Hillary, George Schaller, or Christopoh von Fürer-Haimendorf, so that you can always go and buy their books if you liked what you read. There is a useful glossary of the source books at the end. Lucia de Vries has slipped in one of her own writings (The Winds of Chait) to the anthology, which is a haunting profile of a Dalit Maoist guerrilla, Chandra, who was killed by the Army in an unnamed village in Central Nepal. It is one of the most nuanced reportage of the Maoist conflict by a western journalist, and peels off the layers of caste, class, social injustice, state neglect and violence that lay at the root of the conflict.